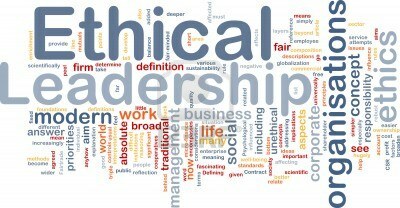 Use an organisation that is or has been in the news during the past two years (work-related learning) and identify an ethical dilemma faced by that organisation as an example. Apply at least two theoretical concepts from managerial ethics to examine this dilemma critically. Go on to examine and critically evaluate how these theoretical concepts influence managerial practices in the chosen organisation. In conclusion, reflect critically on how leaders may ensure organisational decisions are made ethically. In short, you will need to demonstrate an understanding and critical analysis of the theories surrounding the topic, as well as evaluating the practical reality in the workplace. Please refer to relevant academic literature and source materials, as well as drawing upon your knowledge of the organisation. Familiarising students with the various theories relating to organisations and organisational planning and control. Encouraging students to use empirical evidence to support their arguments. The Assessment must adopt an essay structure and not that of a management report. Writing style must follow professional literacy. Citations and a final reference list mist be included that follow the APA6 citation guidelines accurately. The quality of writing and presentation: accurate mechanics (spelling, grammar, punctuation etc. ); use respectful language to discuss all people; avoid emotive language; employ inclusive, non-sexist language. Minimum of ten (10) citations/references used. Students must use APA referencing in their assessments – see student.csu.edu.au/study/referencing-at-csufor more details. Students must submit their assessment using Turnitin.com.